Arthur A. Levine Books, 9780439669511, 233pp. It's dawn, on an empty road in the countryside. Empty, except for the girl in the long, red evening gown, standing next to a bicycle, and looking back at the home she's about to leave. Mannie's ready to start a new life and forget the terrible things that have happened here, but there are questions that need to be answered before she can let go. Questions about her elegant but unstable mother, her brother who's always overshadowed her, and his friend Harry Jacob, who just might be Mannie's boyfriend . 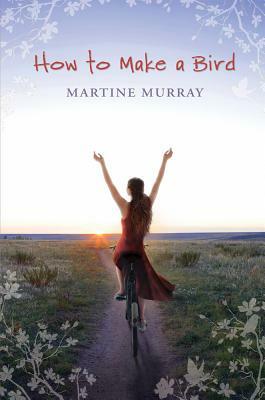 . .
Martine Murray is the author of THE SLIGHTLY TRUE STORY OF CEDAR B. HARTLEY, which received three starred reviews and was named to Booklist's roundup of Top Ten First Novels for Youth. She lives in Victoria, Australia.